I ride in front and back Professional's Choice Sport Medicine Boots II on Scooter only when I am doing high intesity training or competing. I normally do not wear them when I trail ride or do light work that way Scooter's legs can get stronger. 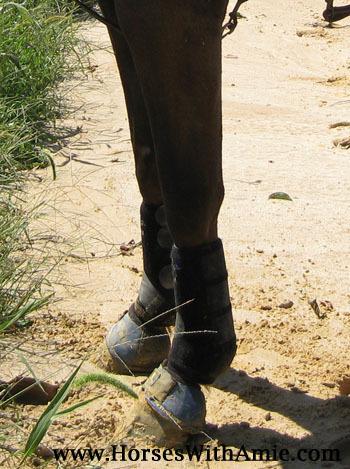 The bell boots that Scooter wears are Classic Equine no turn bell boots. 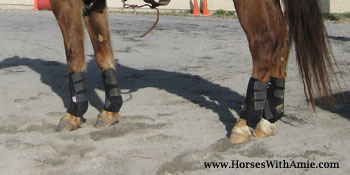 They are great and help protect his shoes and front feet from being stepped on my his hind feet. I put these on scooter every time I ride.